Do You Need A Dental Bridge Or A Partial? If you lose a tooth or multiple teeth, you shouldn’t put off seeing the dentist. Replacing these lost teeth can improve your smile’s appearance and overall health. With a prosthetic we can replace one or more lost teeth. 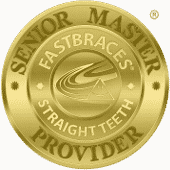 Do you need a dental bridge or a partial denture to complete your smile? How does tooth loss impact your smile? First, losing teeth often leads to the onset of misalignment. Uneven teeth make proper oral hygiene difficult, boosting the risk of tooth decay and gum disease. Over time, misalignment can also place pressure on the jaw joints, which may lead to TMJ disorder or bruxism developing. Finally, missing teeth can lead to difficulty eating, as well as trouble communicating clearly. We recommend seeking a replacement for a missing tooth right away. A bridge allows the dentist to replace one to three teeth, provided they are in a row. The prosthetic consist of the replacement teeth with dental crowns on either end. The crowns will be placed on the natural teeth sitting on either side of the gap in the smile. The crowns anchor the new teeth in place. The prosthetic can last 10 to 15 years before requiring adjustment or replacement. A partial is recommended for people who have lost multiple teeth but don’t yet need a full prosthetic. 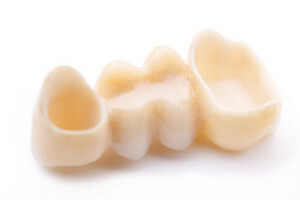 This denture can replace multiple missing teeth, even if they are spread across an arch. The partial consist of replacement teeth with an acrylic base designed to look like natural gum tissue. There are metal clasps, which attach to the natural teeth and anchor the new owns in place. A partial can last for 5 to 10 years before adjustment or replacement is necessary. If you have any questions about either tooth replacement option then please contact our office today.